With the erratic seasonal temperatures of the last few years, we don’t know what to expect from the coming summer season. Will it be a scorcher or pleasantly warm? In the RV world, there are two appliances that need to keep working regardless of the heat: the refrigerator and the air conditioner. If the refrigerator tends to heat up to over 45 degrees in the summer temperatures, don’t buy a new refrigerator or replace the cooling unit until you try this little trick. If your travel plans include an extended stay in a very hot climate (over 90 degrees F daily), the refrigerator may not stay cool enough to keep food fresh. Installing a couple of 12 V computer case fans at the top of the refrigerator flue vent eliminates this problem. Depending on the size of your motorhome refrigerator flue, there may only be room for one large fan. Refrigerator designs may require the fan to be installed at the bottom. Avoid this if possible. Service installers may spin a tale about the best installation, but I have tried both top and bottom vent placement. The fans installed in the top of the vent far outperform the bottom location. The top vent design is a tougher install project and may cost a few more dollars in labor, but well worth it when the temperature hits 110 degrees. If you understand 12V schematics, it is an easy installation. Measure the top surface opening of the flue. Buy these small computer case fans yourself at a local electronics/computer store or online (around $5 each). Do it yourself or contact a local RV repairperson to install the fans at your RV park site. Install an on/off switch within easy reach for flexibility in colder climates. Caution: Do not allow the RV repairperson to buy the fans. They do not usually have the correct specifications or understand the reasoning behind using computer case fans over conventional refrigerator vent fans. Computer fans are also less expensive ($10 versus $35). Note: Unless your motorhome is less than 20 feet long, ignore the solar-type vent fans, as they do not produce enough airflow to do the job. The National Highway Traffic Safety Administration (NHTSA.gov) maintains a list of all RVs that are recalled by the manufacturer. To narrow the chances of buying a defective vehicle, check the VIN number on this website. If you have a question about a particular make or model, enter the VIN number of the vehicle to see the details. For the latest recalls, click here. “This is a great book for beginning do-it-yourselfers (like myself). A lot of overview about basic things, so you know you are doing the right thing for yourself. It’s a guide more than a How-to book. But it includes proper procedures for many things like how to properly maintain and handle your sewer system, troubleshooting the water heater, refrigerator, furnace, etc. This book also includes how to communicate with the repairman so you don’t get swindled. I particularly appreciated this part of the book. Another useful tool in the book that is very handy are the commonly used acronyms for weight balance. 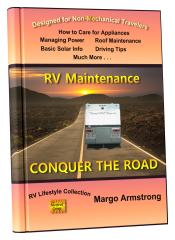 Would you like to understand more about your RV? How does the refrigerator work and why does it need to be level when in use? Margo’s Safari Trek For Sale. Click HERE for more information. Click on the cover to take a look at Amazon! For an Audio Overview of this book, see above. Find what you need today at discount prices. Thousands of items. Buy today and save! New to the RV Lifestyle? RV Quality Control – What?? 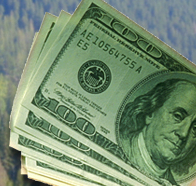 RV Recalls – What is Going On? Who is Attacking Net Neutrality? Is Our Internet About to be Shut Down? RV Show Season is Here!